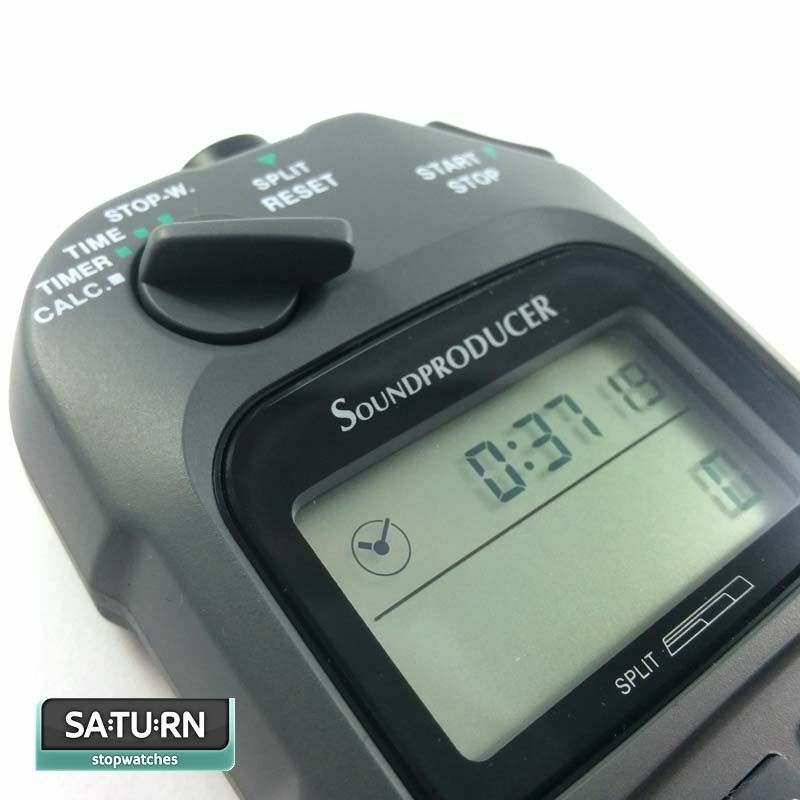 The Seiko S351 SoundProducer is the essential stopwatch designed for use in the recording/broadcast industry. 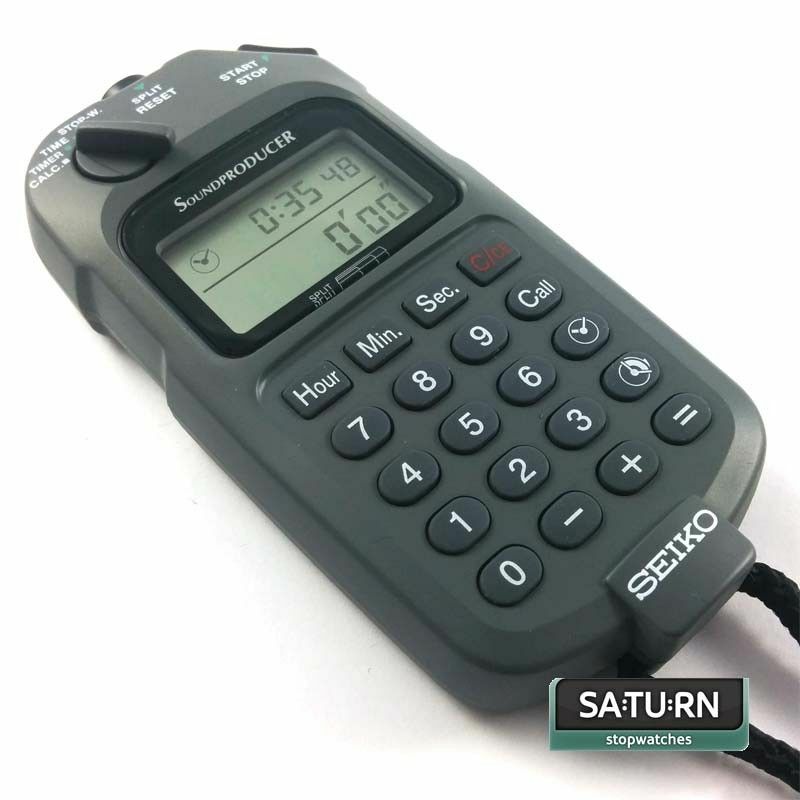 Adds/subtracts times in hours, minutes and second and stores the result for use in Timer and Stopwatch modes. The Seiko S351 Sound Producer is the essential stopwatch designed for use in the recording/broadcast industry. 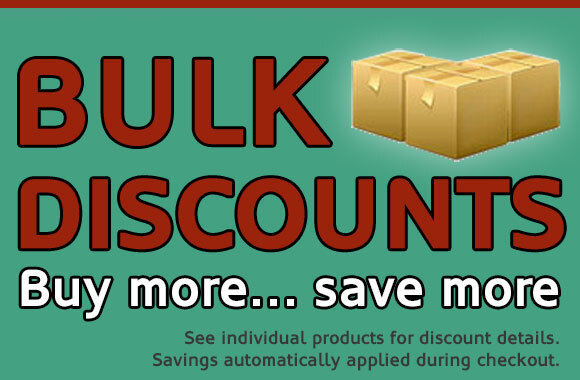 Adds/subtracts times in hours, minutes and second and stores the result for use in Timer and Stopwatch modes. Ideal for those working in TV, radio, film and audio/video production wanting to calculate intro, back-times and other common operations. No beep/silent operation, to prevent interruptions or disturbances during recordings, performances and broadcasts. Add and subtract times up to 99 hours, 59 minutes and 59 seconds. Calculator can be used whilst in timing in Timer or Stopwatch mode is in progress. 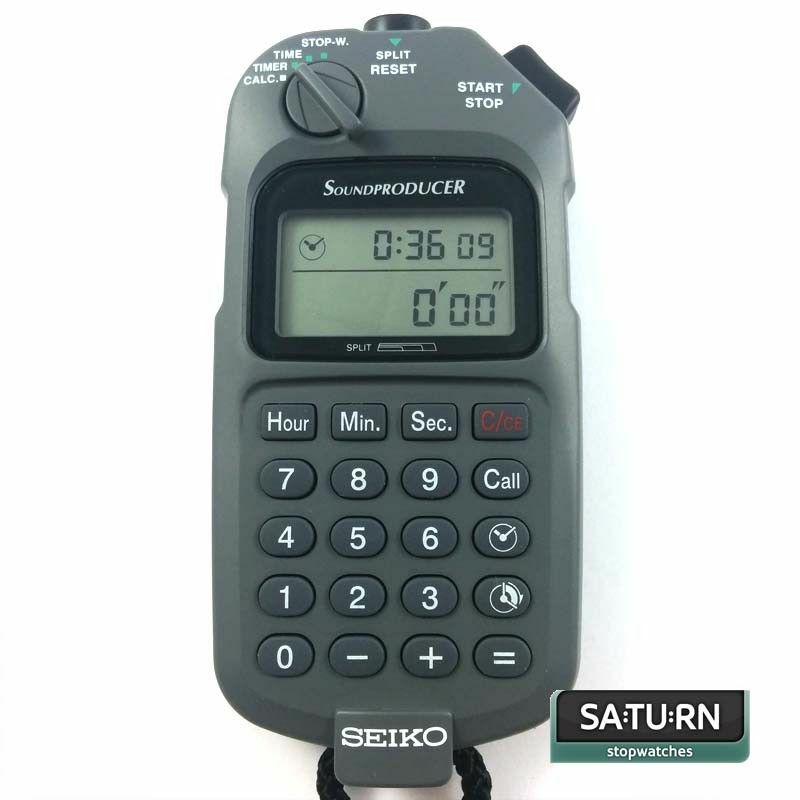 The Seiko SoundProducer measures up to 99 hours, 59 minutes and 59 seconds in one second increments. After 100 hours, timing continues from zero. Initial start time can be set to count up from zero, or any other start time up to a maximum of 99 hours, 59 minutes and 59 seconds. 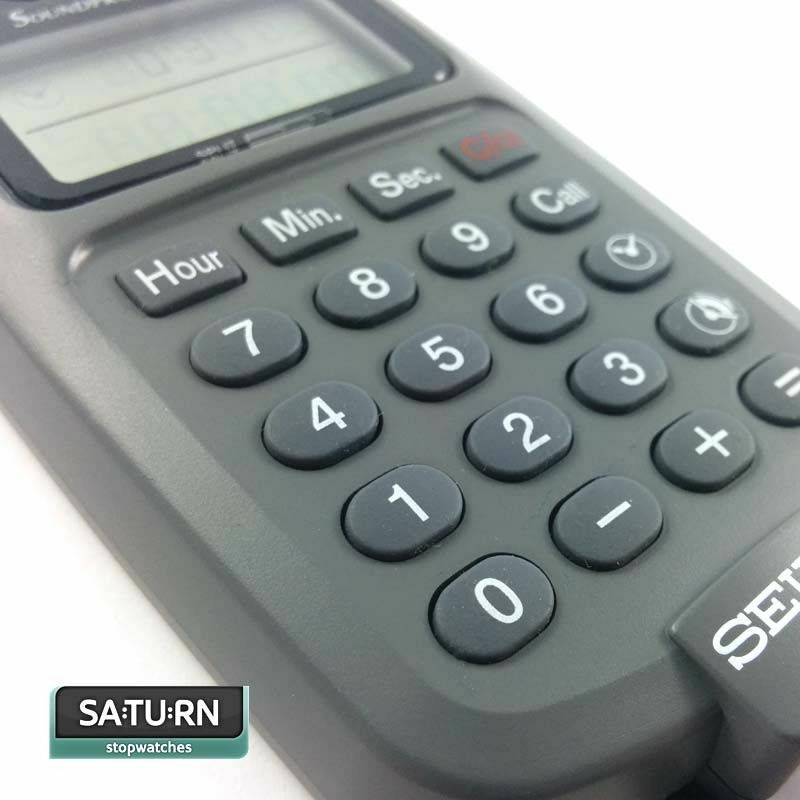 The result from Calculator Mode can also be used to set the initial start time. Stopwatch can be paused and resumed using the Start/Stop button. Whilst timing is in progress, a split time can be taken to show total elapsed time to that moment. Timing continues in the background and the current running time will be displayed on screen again after the Split button is re-pressed. Counts down from any specified time (maximum 99 hours, 59 minutes and 59 seconds) in one second increments. After zero is reached, the Sound Producer will display negative numbers to indicate elapsed time from the end of countdown. No beep is produced once the timer reaches zero. Time elapsed from the start of countdown can also be displayed by pressing the Elapsed Time button. Time of day shown in hours, minutes and seconds. Time can be displayed in either 12 hour or 24 hour clock format. Current time of day can be toggled on/off in Timer, Stopwatch and Calculator modes. 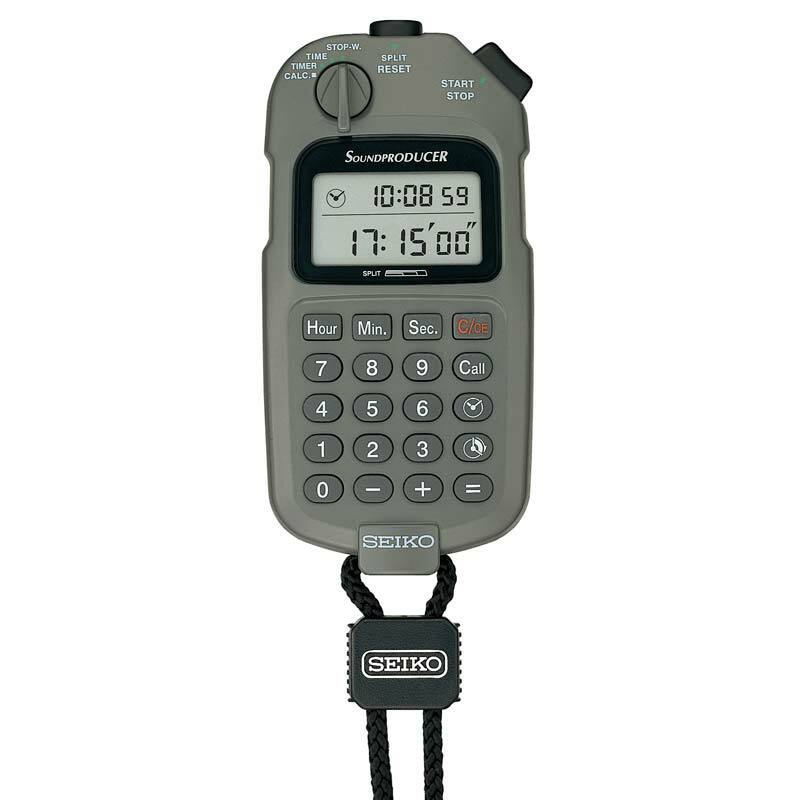 The Seiko Sound Producer is supplied complete with a lanyard and carry case. Battery: 1 x CR2032 button type battery. 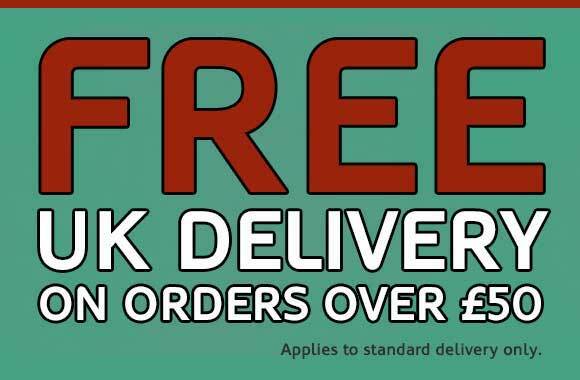 All prices include VAT at standard rate.